You all know how much I adore MUA's Every Lash Mascara so when Jayne sent me their Mega Volume Mascara it had a lot to live up to! It wasn't until recently that I started to seek a mascara to give me more volume so when this turned up I was excited to try it! I mentioned this mascara in my June Favourites but my opinion has definitely changed since then! It does give my lashes lots of length and volume and it has the potential to create even more volume. However, by the afternoon it has usually migrated to my under eye area and cheeks. At first it wasn't that bad but the more I've used it the worst it gets! Don't even think about wearing it out in the current heat as well! Also the brush has been collecting little clumps of mascara on it which transfers onto your lashes in a unattractive manner! None of these disappointing features were as bad when I first used it so I'm pretty miffed that I've fallen out of love with it. 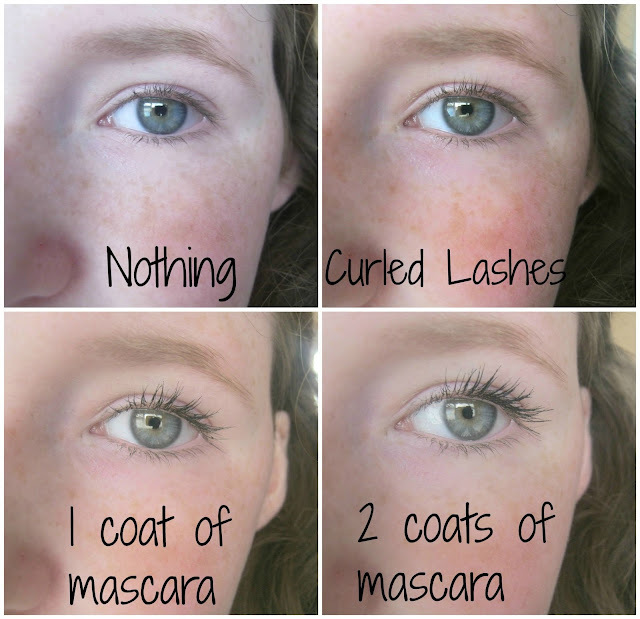 I do love the effect it gives my lashes but I can't stand it when my mascara flakes and smudges! So, in the end I really wouldn't recommend this to you! You should go and buy yourself their Every Lash Mascara though, it is a million times more awesome! Oh my gosh you have the prettiest eyelashes! I like this mascara its a shame you didn't I generally just use it for separating my eyelashes! wow ur lashes look amazing! What a shame it didn't work so well for you.. your eyelashes do look great though!